Promoting an editorial business has never been easier – and it’s never been harder. The internet provides us with access to a global marketplace; that means each of us is discoverable to a much greater number of clients. The internet also provides our clients with access to a global supply base; that means each of us has a greater number of competitors. So how do you stand out in a world where anyone can say they’re a proofreader, editor, indexer, or copywriter? How do you persuade your potential client that it would be worth their while to contact you and ask you for a quotation? The issue is one of instilling trust. It’s about persuading the client – making them really believe – that you are who you say you are, and that you can do what you say you can do. Trust and truth aren’t the same thing. Truth is defined by Oxford as ‘That which is true or in accordance with fact or reality.’ Trust is belief in that reality. Without evidence, potential clients can’t know the truth of the phrase ‘I am a professional proofreader’. The best that I can hope for is that they believe it to be the truth – that they trust it to be the truth. Instilling trust is therefore key when we are creating our marketing messages, whether online or in print. Potential clients, who will often be complete strangers to us, are more likely to get in contact if they believe the content of our websites, brochures, and résumés. There are tools we can use to persuade our potential clients that we are worthy of their trust – these tools are the 4 Ps: pictures, praise, portfolios, and professional practice. So you’re shy! Me too. Maybe you don’t have the kind of face that will have Vogue clamoring to put you on its front cover. Me neither. Do it anyway. Your client isn’t trying to hire a new sociable best friend, nor do they need a supermodel; what your client needs is a proofreader (or editor/indexer/copywriter). They don’t just want any old proofreader, though. They want someone then can trust when they hand over the manuscript they sweated over. They want a real individual, not some anonymous person they’ve never met working for a huge, faceless corporate agency whose website, while attractive, looks somewhat impersonal. ‘I’ve wept over this novel, literally torn hairs from my scalp as I tackled draft after draft. I needed to feel that the person I was hiring gave a damn and would treat me and my book in a way that respected that,’ said one self-publishing novelist who contacted me for a proofreading quotation some time back. One key word from the above quote is ‘person.’ She wanted to hire a person, not an agency, not a machine. The other key words are ‘gave a damn.’ She wanted to feel that the person she hired would care. Providing evidence that you are a real person, one who is prepared (for a fee) to invest professional commitment (care) in your client’s project, is difficult when you don’t have a face. If you don’t include a picture of your face on your website, for example, all you have is words. Even if they’re great words, they won’t show your smile. Smiles are powerful – when you smile at people, you make them feel good. ‘Genuine smiles (the ones that involve the muscles surrounding the eyes) induce positive feelings among those who are smiled at’ (‘Want to Increase Trust in Others? Just Smile,’ G. Greengross, Psychology Today, 2015). And Samuele Centorrino et al. published a study early in 2015 suggesting ‘that smiles perceived as honest serve as a signal that has evolved to induce cooperation in situations requiring mutual trust’ (‘Honest signaling in trust interactions: smiles rated as genuine induce trust and signal higher earning opportunities,’ S. Centorrino et al., Emotion & Human Behavior, 2015). In other words, smiles create belief. So when you complement the great words on your website with a picture of your smiling face, you appear more trustworthy to your client. Compare that with the impact your faceless competitor is making, and then get out your camera. Testimonials provide social proof that you can do what you claim. They help the potential client to feel confident in putting their money where a previous client’s mouth is. According to Kissmetrics, ‘social proof is the marketing tactic for easing the minds of worried customers’ (G. Ciotti, ‘7 Things You MUST Understand When Leveraging Social Proof in Your Marketing Efforts,’ Kissmetrics). It’s standard business practice, so it won’t come as a surprise to your client when you ask. And, anyway, in my experience clients are delighted to publicly go on record and help to spread the word when they’re happy with the help you’ve provided. Social proof builds trust – again, we’re talking about providing evidence that enables a potential client to believe that you can deliver on your promises. Testimonials from third parties provide social proof because ‘people tend to believe what other people believe, especially people they respect. So if you can assemble a group of people, especially opinion leaders, who rave about you, you build credibility … that’s how we humans work’ (A. Neitlich, ‘The Importance of Testimonials,’ Sitepoint, 2004). The third piece of evidence that helps our clients to believe what we are saying is found in the portfolio. I’ve already written a 1,500-word article about the power of the portfolio, which you can read here: The Power of the Portfolio. Your portfolio shows your client that you have already practiced what you preach. It builds confidence in your client’s vision of you as a supplier who can deliver on his or her promises. That’s a powerful emotion to induce in a client because you’ve already placed your professionalism ahead of money in the client’s mind before they’ve even contacted you. Finally, summarize those key points that reflect your professionalism – these are the things that show that proofreading or editing isn’t a hobby. Rather, you are a skilled professional who has relevant training and qualifications that make you fit for purpose and deserving of the fees you charge for what you bring to the table. Educational and career backgrounds: Your target markets will determine which elements of professionalism you want to focus your customers’ attention on. I began my professional proofreading career by specializing in the social sciences. It was therefore important to communicate to clients that I was familiar with the language of the field. My degree in Political Science played a part in this; so did the fact that I’d worked for over a decade in an academic publishing house, marketing their politics, economics, philosophy, psychology, sociology, and research methods journals. If you want to instill trust in, for example, independent academics submitting to engineering journals, and you have an engineering background yourself, you’d be foolish not to take the opportunity to show them that you understand the discipline. Editorial training: Have you completed professional editorial training that demonstrates competence in your field? If so, summarize it. Anyone can set up an editing or proofreading business, but not everyone will take the time to engage in training and other forms of continuing professional development. These things help to make you stand out from the crowd and demonstrate your willingness to learn to do the job to industry-recognized standards. Memberships: If you used to be a member of the American Bar Association, and want to make yourself attractive to legal clients, you’ll have an advantage over me if you tell the client this! If you live in a country that has a national editorial society (in which membership requires meeting rigorous criteria), you might appear to be a better bet to some clients (such as publishers) than someone without such an affiliation. And scientific and medical clients are more likely to trust an editor with, for example, a BELS accreditation, than one without. Finally, think, too, about what your target client groups want. 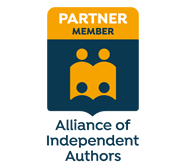 Marketing materials aimed at publishers might focus on attributes that an independent fiction author isn’t interested in; for example, ability to use industry-recognized proof-correction markup language. And academic clients looking to publish in scholarly journals may be more trusting of an editor who claims she knows how to work with particular styles of referencing and citation. Successful marketing isn’t about truth, but about trust – telling the truth is important (though that’s beyond the scope of this article), but a nervous client who’s never worked with you before can’t possibly know whether your claims are truthful. Rather, we need to do things that will help our clients believe that our claims have truth to them. Pictures, praise, portfolios, and summaries of professional practice are four tools that will help build this belief. Louise Harnby is a professional proofreader, the curator of The Proofreader's Parlour, and the author of Business Planning for Editorial Freelancers and Marketing Your Editing & Proofreading Business. She is an Advanced Professional Member of the Society for Editors and Proofreaders (SfEP). Visit her business website at Louise Harnby | Proofreader, follow her on Twitter at @LouiseHarnby, or find her on LinkedIn.